Track the complete repair workflow of cell phones, computers, and other devices from check-in to checkout. 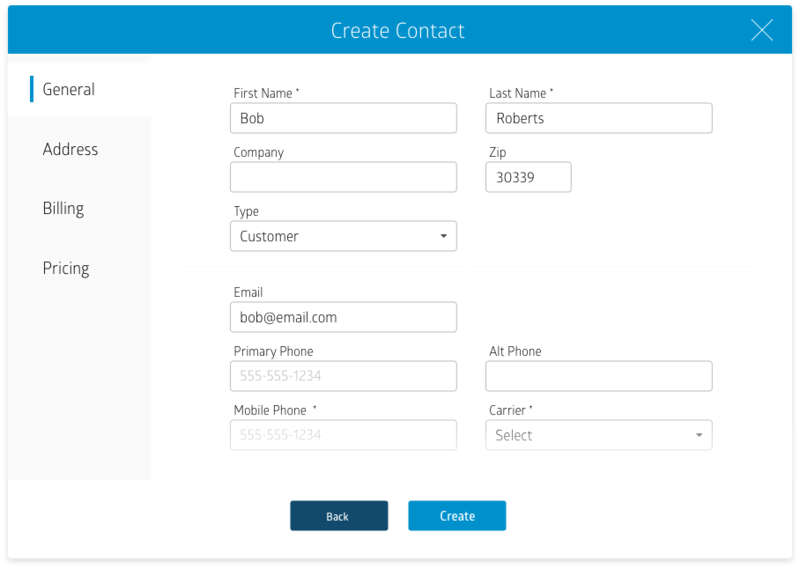 Bring customers from appointments, quotes, or walk-ins directly into a check-in process that combines customer, equipment, issues, diagnostics, and sales together in a workflow modeled by the pros. Maintaining effective tracking in a high-volume repair shop isn’t always simple. You have dozens, if not hundreds of customers and devices, including back-orders, reworks, and refurbishments. That’s why RepairQ has perfected the queue. Track all tickets in the Queue based on status and priority. 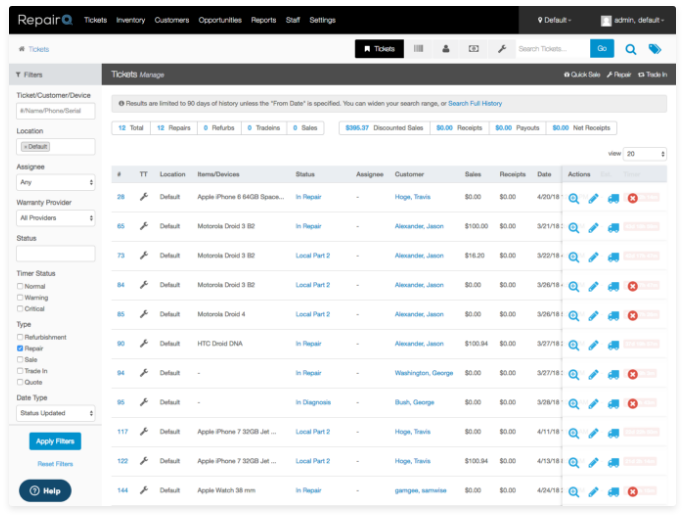 Quickly view what’s important to techs, sales reps, and management. Easily search your Queue for any ticket, anywhere. Transfer tickets or easily check one in and get to work. Technicians are the key to a successful repair shop. 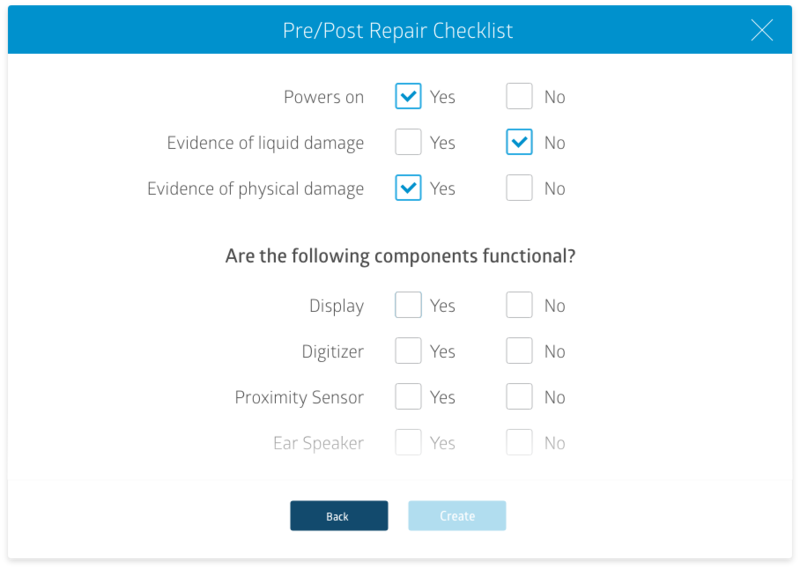 The Repair Tech Process empowers techs to capture issues and resolutions, and then report proper next steps to their team. Every successful repair retailer ensures their customers are communicated to along each step of the journey, no matter how small. 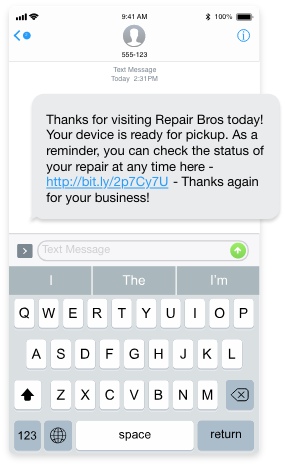 RepairQ has made customer communication easy. 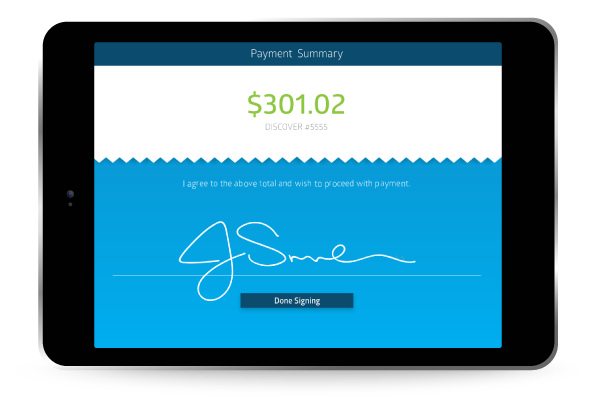 With Qpop, RepairQ’s point-of-purchase app, show service estimates and capture electronic authorization and waiver signatures.